One of the primary reasons I write is to inspire others. I enjoy writing about the everyday experiences of life, weather, history, human interaction, nature, and genuine kindness. I also enjoy illustrating my blog posts with appropriate pictures that I have taken, and am glad when comments are made about those as well. 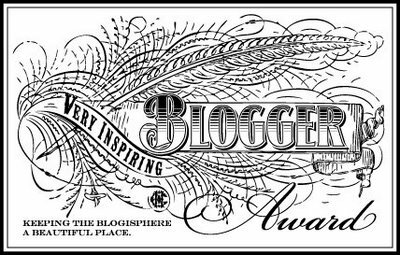 When Sandra Madeira nominated me for the Very Inspiring Blogger Award, I was greatly honored. Thank you, Sandra. Nearly a year ago, Sandra embarked on a mission of her own, posting a daily writing tip. I have been following her writings from the other side of the big pond in London all year. Other than the crazy English spellings, like colour, realise and practise, I have found her offerings insightful, and inspiring, especially since she works fulltime and has a family to care for. She definitely deserved the award. 1. I always wanted to play third base for the Cleveland Indians. 2. Failing at that, the best I could do is buy tickets on the third base side of Progressive Field. 3. I do the severe weather spotting for the National Weather Service for where I live, which is in the middle of the world’s largest Amish population in Holmes County, Ohio. 4. Our house is built on an Amish farm. 5. I’m Mennonite, not Amish. They’re the ones with the beards. Oh, wait. I have a beard. Never mind. 6. I was a volunteer firefighter and emergency medical technician for 27 years in our rural county. 7. When I was young, I had long, blonde, curly hair. Look at me now. Claire inspires through her amazing urban photography, spontaneous, real and truly inspiring. Check out her blog, and you’ll see just how inspiring Carley Evans is. I’ll put the disclaimer right up front. Mic Miller is a friend of mine. Nevertheless, I think you’ll find his insightful comments and photography very inspiring. Inspiring pretty well states the purpose of Karen Chandler’s blog. Kerry Leibowtiz’s photographs will take your breath away. If Matt Posky’s commentary and drawings don’t inspire you, they’ll at least make you think. Babak is a student studying in Amsterdam. Given his interests shared on his posts, you’ll find inspiration in many forms. To make that point, he was recently Freshly Pressed by WordPress.com, and that certainly is a good thing. Check them all out, and thanks, again, to Sandra for thinking of me. Thanks for your kind words Bruce. It’s also very interesting to learn these facts about you – volunteer firefighter and emergency medical technician for 27 years – wow! You thoroughly deserve the award Bruce – well done.